As the calendar begins anew, so can you. 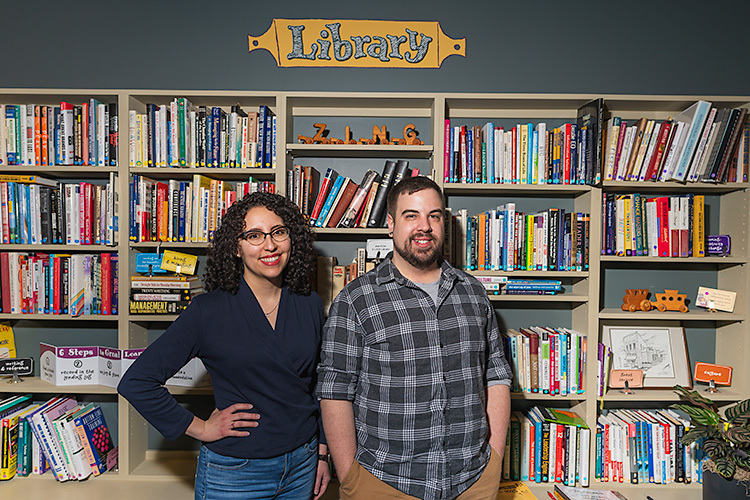 Whether you want to improve your health, boost your finances, or get involved in the community, there are ample resources to help you stick to your goals right here in Isabella County. We've compiled some of our favorites below. Let us know what local resources you're tapping into in the comments. With cardio and strength training, personal trainers, a tanning bed, this 24-hour access gym will help you reach your fitness goals. MTF is currently running a discount on their one-year platinum membership for $185, a savings of $250. Their HERO’s discount is also available for police, firefighters, veterans, and teachers. Not sure if MTF is right for you? Try it out first and take advantage of their 7-day free pass. Since opening in downtown Mt. Pleasant in 2016, the body inclusive studio has offered not only yoga, but other wellness services such as meditation and breath classes, aerial, and prenatal yoga and education classes. The first class is free, with the exception of aerial and series classes, and student discounts are available to students with valid identification. Located on the corner of Broadway and University in Mt. Pleasant, this family owned and operated company offers relaxation in many forms. From infrared massages and saunas, homemade salads and a juice bar, Pure Vitality aims to have you feeling your best inside and out. If you’re on the go and still want to eat healthy, take advantage of their Juice Farmacy with premade juices, salads, and hummus available to get you on your way. 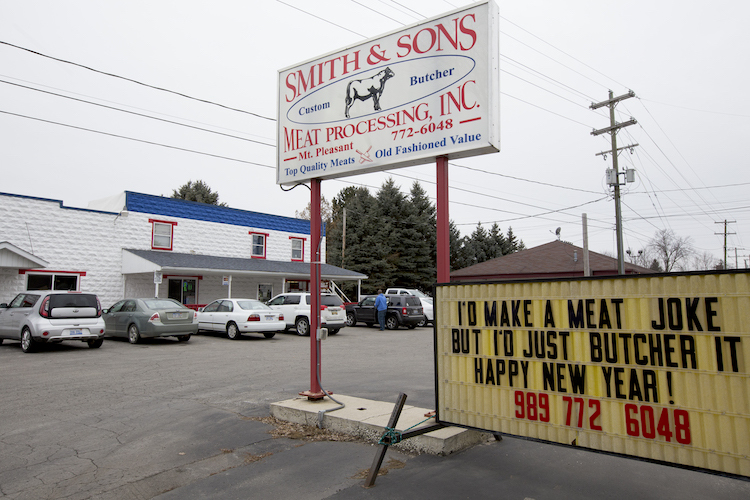 Smith & Sons Meat Processing, Inc.
Smith & Sons Meat Processing, Inc. is located at 5080 East Broadway in Mt. Pleasant, Michigan.Custom butchering at an affordable price, Smith & Sons not only makes their own bacon, but they save yours too. The business offers fresh meats, cheeses, homemade and local products. Owner Russell Smith, along with the help of his sons Chase and Tristan and a few employees, has been running the business for 13 years. “There is something gratifying about being able to do a job and look back and see what you did…to know that there’s thousands of people every night having dinner with something that we cut,” owner Russell Smith said. Smith & Sons also offers processing for lamb, beef, dear, and hogs which can be cut and packaged to your preference. Characterized by having good deals and friendly staff by its customers, Edmore Family Food Center is located at 540 West Main St. in Edmore. The store is open Monday through Sunday from 7:30 a.m. to 9 p.m.
We've covered what makes Ric's great before: unique dips, classic brats, craft brews, local honey, and old time Michigan favorites like head cheese. 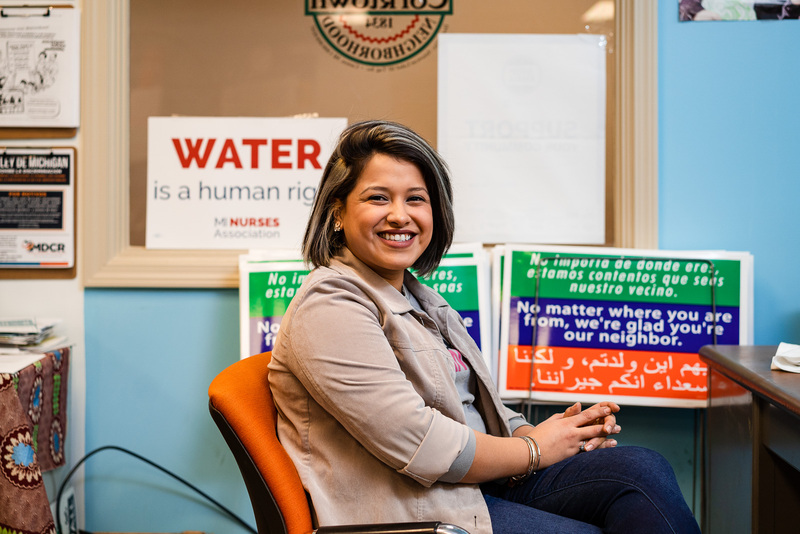 Dedicated employees, a commitment to community, and superb service have given Ric's more than forty years of staying power at 705 S. Mission St. in Mt. Pleasant. From snacks to liquor this convenience store has been family owned and operated for over a decade. Located at 7024 E. Pickard Rd. in Mt. Pleasant, Border’s Corner Store is open until 10 p.m. Sunday through Thursday and until 12 a.m. on Friday and Saturday. GreenTree is more than a grocery store. With a focus on health and wellness in its products, GreenTree carries nourishing, organic, and locally sourced goods. While you don’t have to be a member to shop at the co-op, owners receive a 10 percent discount every day off of local products. 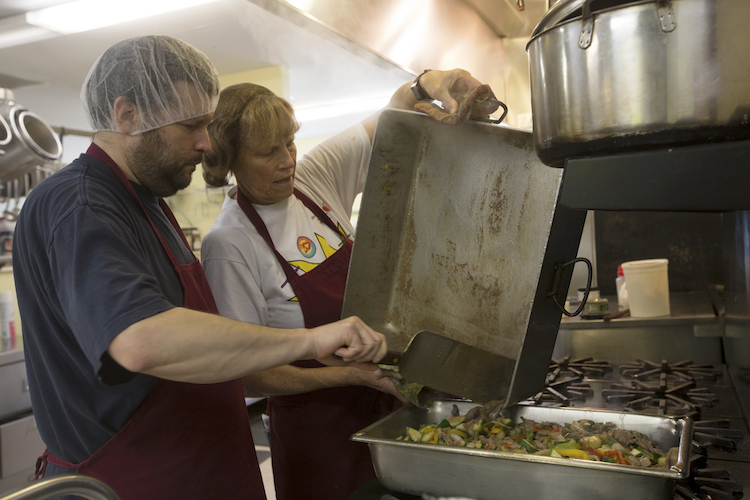 Isabella Community Soup Kitchen volunteers Chris Holtz and Maredda Magnus prepare steak fajitas for lunch at the soup kitchen on Friday, Jan. 4, 2019.ISCK is fighting hunger in Isabella County by providing breakfast and lunch to patrons six days a week. They couldn’t do it without the help of volunteers. Volunteers are always welcome and are especially needed during the holidays and summertime when the students are away. ICRH is helping the homeless in Isabella County get back on their feet. In order to serve on average 30 guests a day, each day 21 to 23 volunteers help make that happen. Interested individuals can find more information on areas and times needed of volunteers and sign up here. 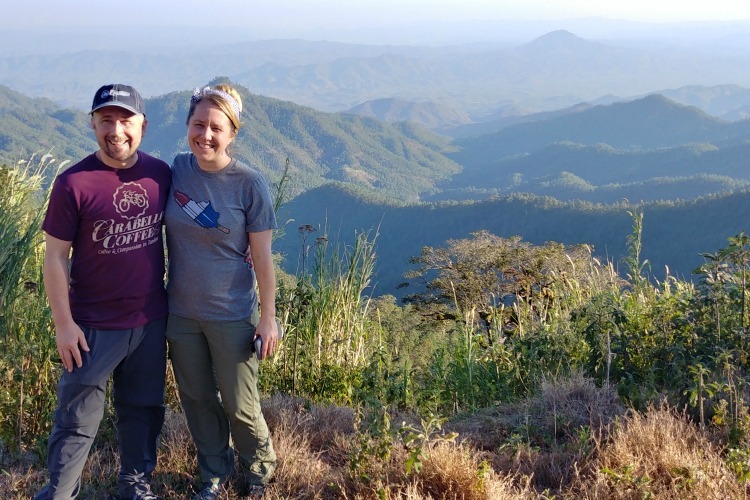 Whether you want to travel and help or stay in town and help build your community up, HFH volunteers help renovate or build homes for those who need it. No experience is necessary to volunteer. Group and individual volunteers are welcome. 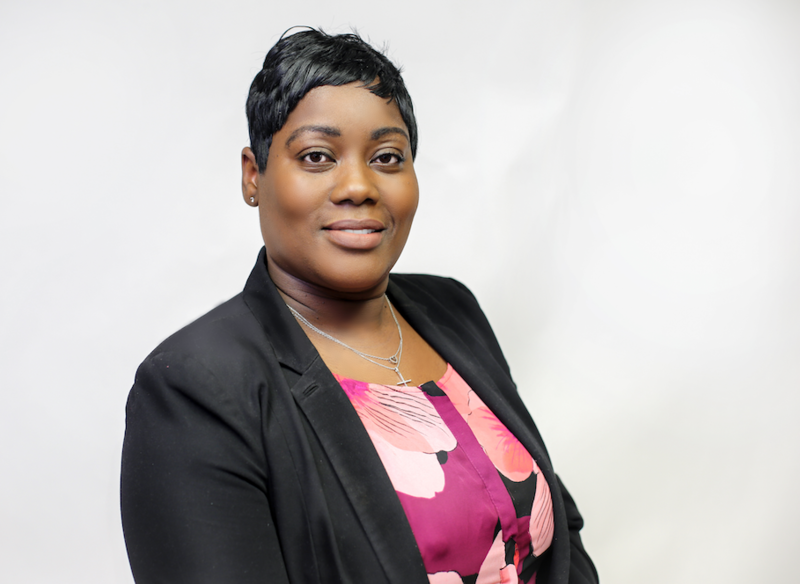 This dedicated team help their clients reach their financial goals. From life insurance, planning for college, and managing your 401k, these financial experts will help you manage your money and invest in your future. With four branch locations in Mt. Pleasant, Mercantile Bank makes banking easy and convenient. To make budgeting and managing your money even easier, Mercantile Bank’s MercMoney® Chatbot will help you stay on top of your finances. This online tool is an extension of your online banking with Mercantile that helps you track expenses, manage your debt, and create budgets. It is accessible through Google Home, Messenger, Alexa and SMS. Manage your money and also invest in your future. In addition to helping with mortgages, loans, and everyday banking, ICCU has partnered up with TurboTax to save extra money on tax refunds and ICCU members can enjoy discounts, cash back, and up to $100 reward for opening a new line with Sprint. 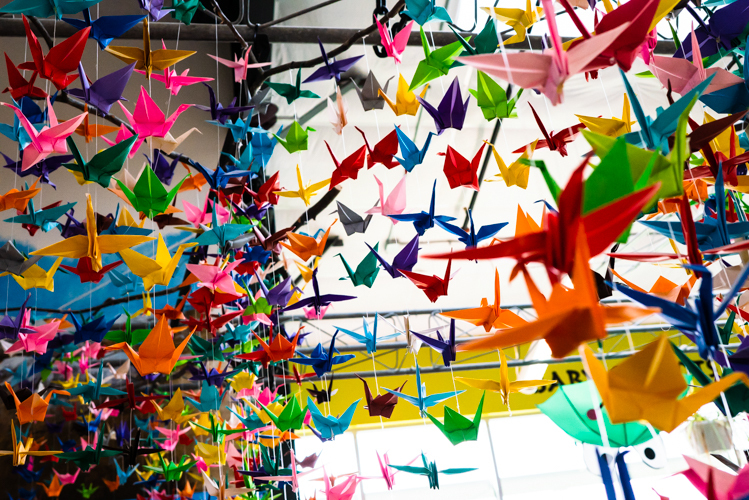 Brightly colored paper cranes hang inside the museumFrom Science Sundays to learning about how to buy items at the market, your children will love learning and exploring at the discovery museum. Membership includes a 10 percent discount on purchases and free admission to most events at the museum. Without a membership admission is $8 per person (ages 1-100). Reduced admission is available for those with valid ID and a EBT or WIC card. With interactive exhibits, photographs, and artwork, the Ziibiwing Center is a great way to learn about local Native American history and culture. Children ages four and under have free admission. See admission rates here. Already have a membership? Receive 50 percent off a gift membership if you renew your membership by Jan. 31 at the regular price. For the past ten years, CMU's Robert Fanning has been bringing people of all ages together at ArtReach in downtown Mt. Pleasant. There are two poetry readings left in the tenth season. Mark your calendars now for a spring outing. The 45,000-square-foot indoor waterpark is sure to be a hit with the family. With slides, a rock climbing wall, a wave rider, and a lazy river, Soaring Eagle Waterpark can be enjoyed by those of all ages. For the 2018-2019 school year, Soaring Eagle Waterpark is offering a snow day special. If school is canceled due to the weather, admittance to the waterpark is $12 per person. Calling ahead to check for availability is recommended.